The total number of crimes recorded during the weekend of the British Grand Prix stands at 11 as of Sunday morning. 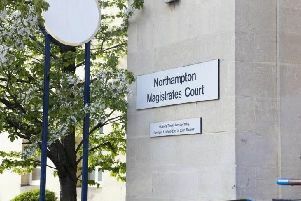 Latest incidents been dealt with by officers from Northamptonshire Police include an alleged case of fraud involving ticket purchases and a theft from a car. It comes after seven tents were broken into on Thursday night in the Woodlands campsite. Saturday saw about 100,000 fans enter the track and a further 140,000 are expected to pass through the gates on Sunday.